Dakar: China and Senegal “need to adopt a long-term approach” in developing their relations, Chinese President Xi Jinping stressed ahead of his state visit to the West African country, calling on the two sides to “firmly support each other on issues of core interests and major concern,” reports CGTN. Xi made the remarks in a signed article entitled “SUNU JAPPO, China and Senegal!” that was published in the mainstream Senegalese newspaper Le Soleil on Friday, in which he called for unity between the two countries. China and Senegal established diplomatic relations in 1971, but cut ties in 1996 after Senegal “resumed diplomatic relations” with Taiwan. In 2005, China and Senegal restored diplomatic ties. In 2016, they elevated bilateral relations to a comprehensive strategic partnership. The one-China principle is the prerequisite and political foundation for China and other countries to establish diplomatic ties and engage in friendly cooperation, Beijing has repeatedly stressed. China is now Senegal’s second largest trading partner and the top importer of Senegalese peanuts, he noted, adding that bilateral trade volume has grown by a factor of 16 in just over a decade. The Chinese president said Senegal and many other African countries have shown great interest in the Belt and Road Initiative, which, proposed by Xi in 2013, aims to achieve common development through improved infrastructure and connectivity and greater synergy of development strategies. 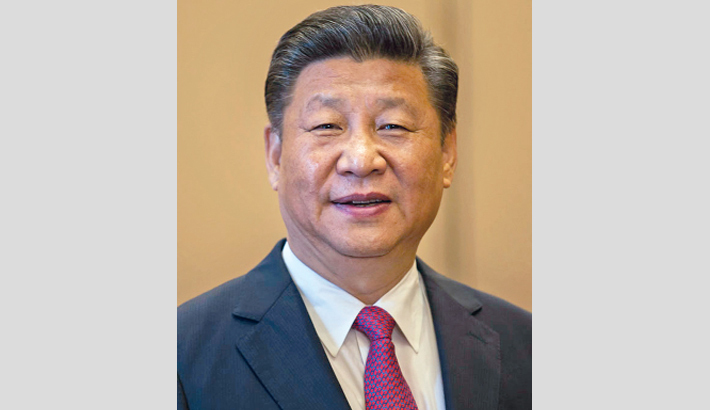 “This September, a Summit of the Forum on China-Africa Cooperation (FOCAC) will be held in Beijing,” he wrote. The summit will help bring together the Belt and Road Initiative, the UN 2030 Agenda for Sustainable Development, Agenda 2063 of the African Union and African countries’ national development plans, and thus “break new grounds for China-Africa cooperation,” Xi added. He said the two sides should work together to “build an even stronger China-Africa community with a shared future” and strive for common development and prosperity. Invited by Senegalese President Macky Sall, Xi will kick off his visit to Senegal on Saturday after leaving the United Arab Emirates (UAE). “In recent years, under the leadership of President Macky Sall, Senegal has become a land of robust growth, striding proudly toward the ambitious goals set out in the Plan for an Emerging Senegal,” said the Chinese president.